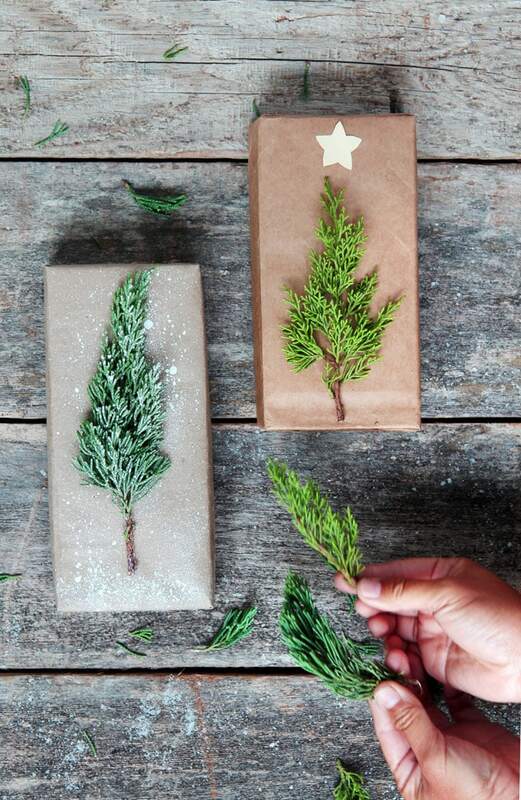 It is ridiculously easy to make a lovely mini Christmas tree design on your gift wrapping. 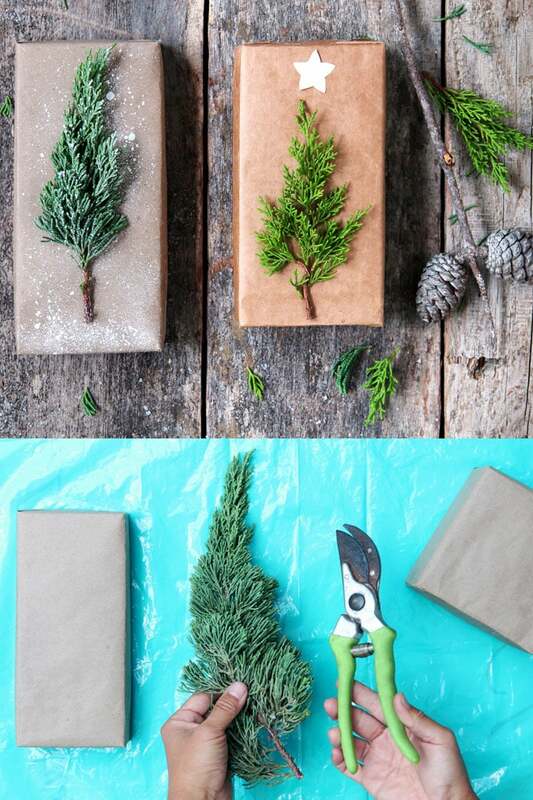 Take a small piece of cutting from a conifer tree, like cypress or juniper, which is already shaped like a Christmas tree. 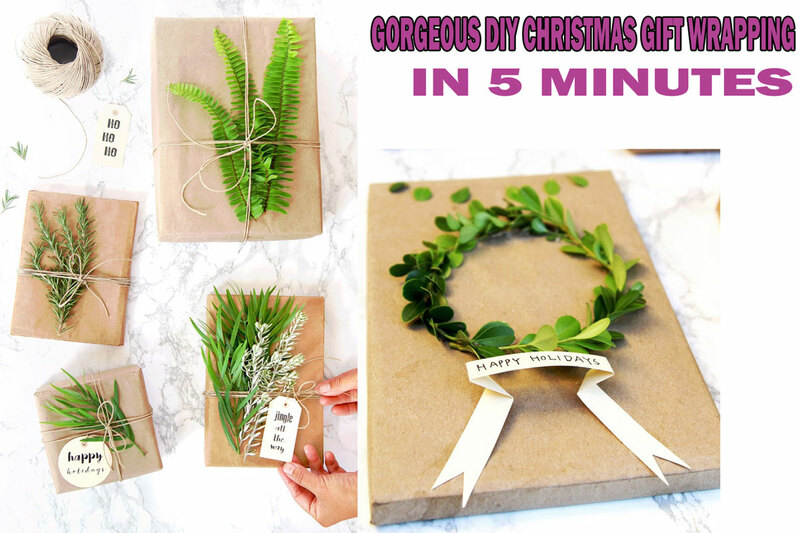 Trim it to fit the gift package, and use hot glue to glue it in place. I added a small paper cut star on top to make it even more festive. This is a super fun variation of the mini Christmas tree above. 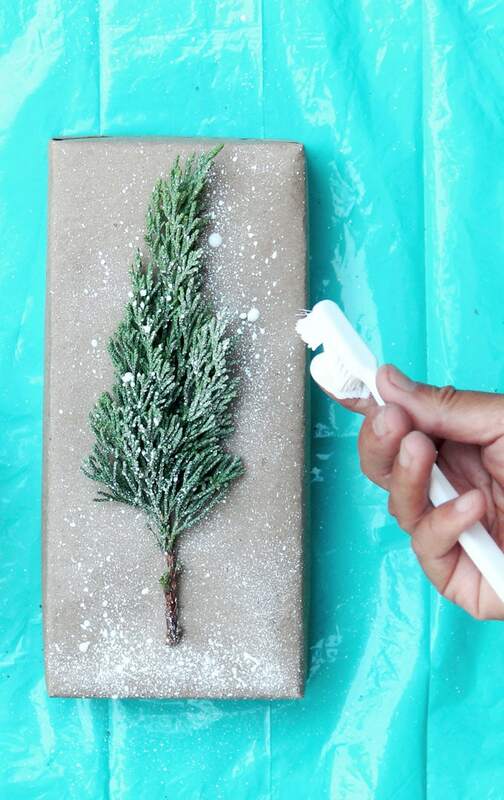 Here we used a toothbrush and some white paint to create a snow flurry effect. 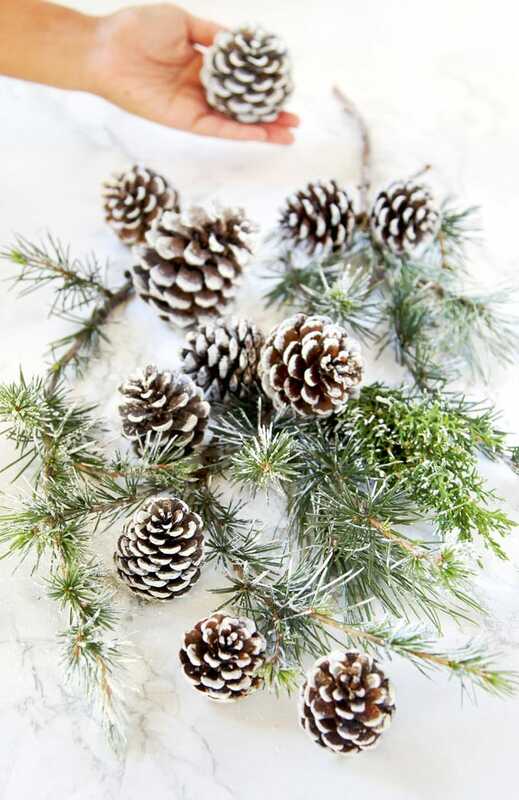 You can also use snowy pinecones. Who doesn’t love a white winter wonderland? The snowy tree is created the same way as the snow covered pinecones above.